It seems like Disney always has something new to collect. I remember years ago it was trading pins. You’d see guests (myself included) scour the shops for that hot pin, attend pin trading events, and create elaborate portfolios showcasing their treasures. As of lately, Mickey Ear Hats seem to be the next fad with a variety of hats, miniature collectibles, and ornaments populating stores. However, in-between pin trading and the increase of Ear Hat merchandise there has been one fad that many Disney guests have latched onto: Vinylmations. What are they and why have they become so popular? Are they beginning to die out? Let’s take a look at the rise of this collectible and think about where it might be heading in the future. Welcome to the world of Disney Vinylmations. Image: Disney Vinylmations are tiny collectibles based on Mickey Mouse’s body. They come in a variety of styles, sizes, and shapes. Some are limited in edition while others are readily available at your favorite Disney Park. 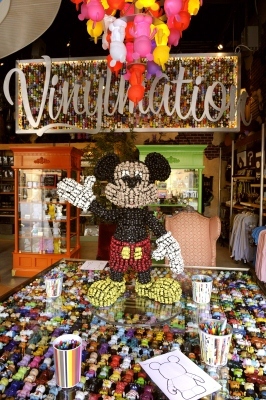 Disney first introduced Vinylmations to collectors back in November of 2008. 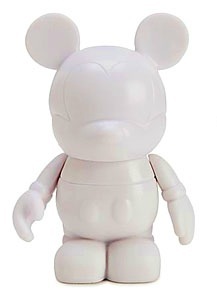 The first figure was a 3-inch blank, all-white Vinyl (nickname for “Vinylmation figure”) and enclosed in a small plastic bag. It was sold for $9.95 during Walt Disney World’s Festival of the Masters, a free public art festival held annually at Downtown Disney. Keeping with the art theme, fans were encouraged to use paint or markers to enhance the figure by creating their own unique designs – some were simple while others were more elaborate. 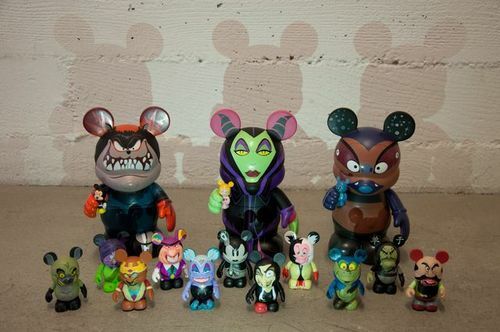 Image: The original Vinylmation figure did not feature any designs. Instead, guests were encouraged to use art supplies to create their own. Now, Vinyls come in a variety of colors, shapes, and themes. 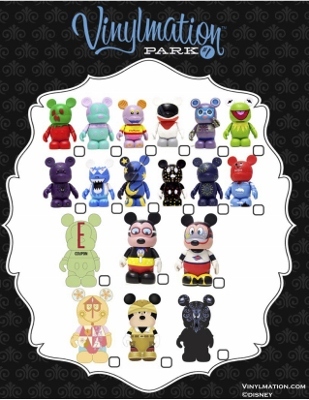 As a result of the blank Vinyl’s quick popularity, Disney Merchandise released its first Vinylmation series in mid-December, 2008: Park 1. This collection of twelve 3-inch figures figures focused on various park icons, attractions, and characters found in Disney theme parks including the Mickey balloon, red monorail, creepy eyed wallpaper from the Haunted Mansion, Kermit the Frog, and more. Each figure was sold for $9.95. The series sold out of shops within weeks and remains the most coveted by collectors today. Image: The original series of Vinylmations focused on favorites from Disney Parks. Each of the Vinyls was housed in a brightly colored box with no preview “window” so guests never knew what particular figure they were buying. Along with those advertised, one special mystery Vinyl was included in the collection; it was appropriately dubbed the “Chaser” because collectors would buy numerous boxes hoping to be lucky enough to find it. This led to many fans trading any duplicate Vinyls they received. Complementing the smaller figures, Park 1 also featured six 9-inch Vinyls including one that came with a companion 3-inch figure. The designs of these limited edition pieces ranged, but still fit the park theme: Mickey at a water park, It’s a Small World, the Yeti, and so on; only 300 to 600 of each design were produced. Unlike the success of the smaller Vinyls, these bigger collectibles did not become as popular; one might attribute this to their their hefty price of $39.95 each. Over time, they were all sold and are now sought out by many collectors today. 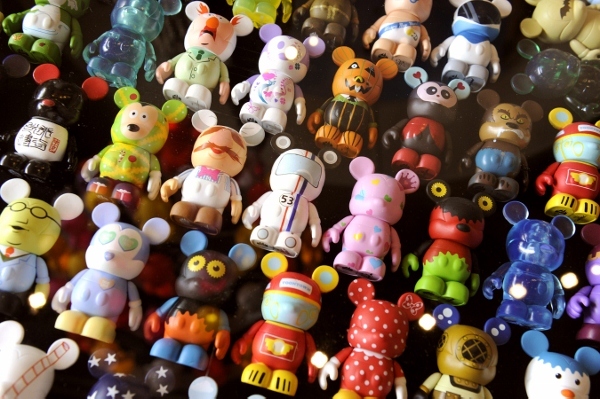 After the release of Park 1, many Disney fans from around the globe became addicted to finding their favorite character or style of Vinylmation. New series were released to help satisfy this craving. On March 17, 2009, the next series, “Urban 1,” was released at both Disneyland and Walt Disney World and took the designs to the next level. While some of the 3-inch figures in this collection had blatant connections to a Disney park or character, most did not. Instead they focused on trends or humorous creative styles. For example, one represented a slice of Swiss Cheese (yes, in the traditional Mickey Mouse form) while another, “Oopsy” showed an upside down Mickey. Urban 1 was also the first series to feature a glow-in-the-dark figure. The collection also featured several 9-inch Vinyls with various designs. 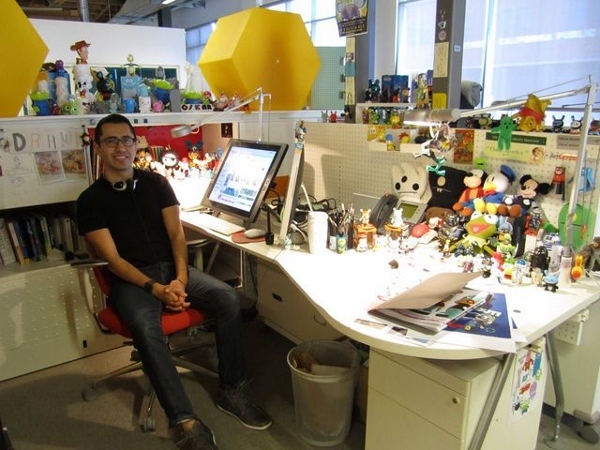 Image: Disney employs a handful of artists who are charged with designing Vinylmations like Oskar Menendez, seen here working on Vinyls for The Disney Store. Image: An artist works on a one-of-a-kind Vinyl figure at a special event in Florida. This one celebrates Ariel from The Little Mermaid. 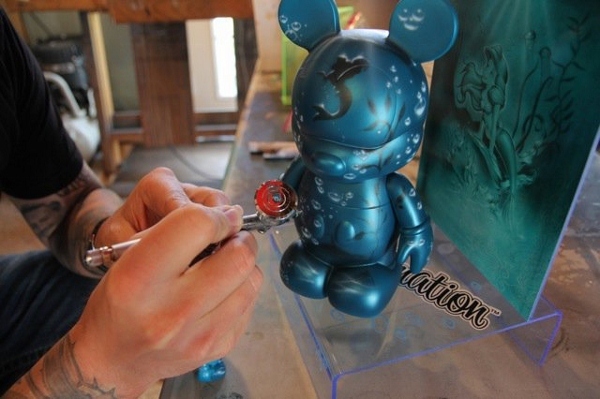 To date, hundreds of Vinylmation designs have been created, sold, and even traded by fans. Series are themed based on everything from Disney memorabilia to food to robots to careers. 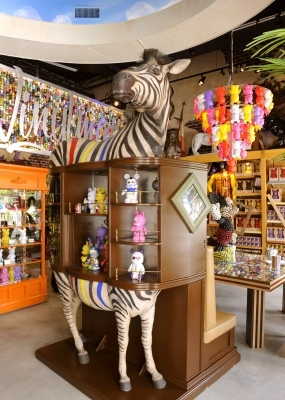 The popularity of the collectibles has even inspired the opening of D-Street, a store featuring all things Vinylmation in both California and Florida’s Downtown Disney. 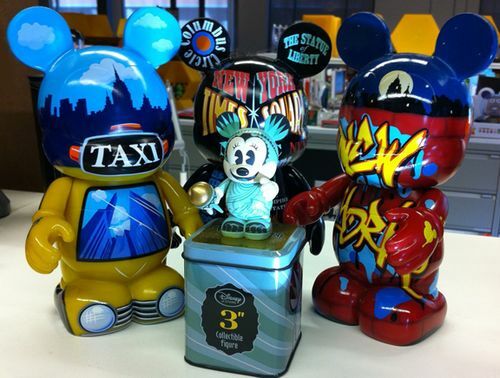 Image: D-Street features Vinylmation of every type and even uses them to decorate tables, shelving, and more. This table, for instance, houses every 3-inch Vinyl figure produced to date. Image: Both 3-inch and 9-inch Vinyls can be found in different styles and themes. 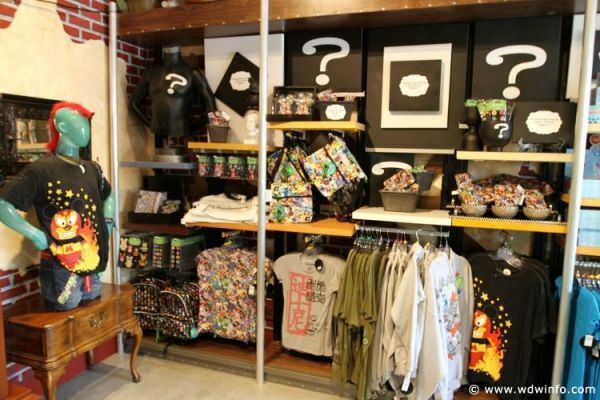 Image: The success of Vinylmation has also inspired a line of t-shirts, iPhone cases, book bags, and more. Because a variety of artists work on the designs and trends are considered, Vinyls celebrate everything and anything. There’s a collection for sushi, some that have sweet scents, ones that light up, and more. Collectors can even find a Vinyl representing countries or famous cities like the popular New York City series or those representing the pavilions in Epcot. Image: Vinyl Styles – Which is Your Favorite? With any collectible, you have fans, non-fans, and those who fall in-between. In spite of this, it appears as if the Vinylmation craze has broken the mold, so to speak, in terms of how they are received. There is no “middle ground” when it comes to the figures: you either love them or hate them. I remember when I first saw the Vinyls years ago; it was at the time that Urban 1 was released. I thought that they were bizarre and so un-Disney-like. Once I saw some of the Park series and those that soon followed, I caught the bug and now own hundreds of Vinylmations which are displayed throughout my home office. Still, there are many Disney fans who claim to “not understand” the attractiveness of these collectibles and have not succumbed to the fad. 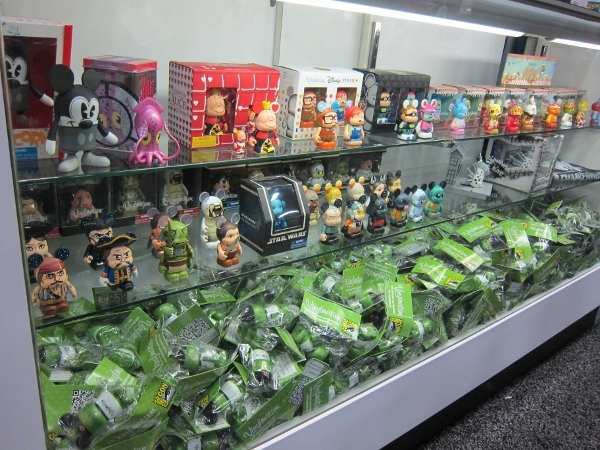 Image: Numerous styles of Disney Vinylmation figures were showcased at this year’s Comic Con event in California. 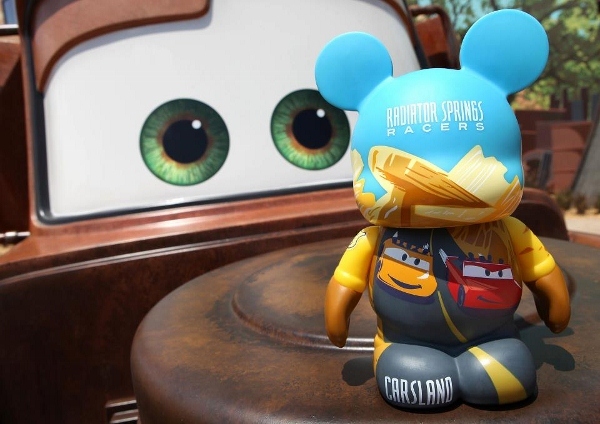 Even though Disney Vinylmation has grown to become such a large success, one has to question whether or not it is truly here to stay. Think back to pin trading, a prominent activity done in the parks for many years. Yes, pins are still sold and collectors trade, but is it as popular as it once was long ago? I think the answer is that it is definitely not. Could Vinyls be headed towards the same fate? It appears to me that once pin trading reached the height of its popularity, it quickly fell off of the cliff to submission. Pins were everywhere. You could find them in every style, shape, color, or theme imaginable. Now, it seems like Vinylmation has hit this level. Disney is even encouraging fans to trade just like it did with designated pin trading events held at the Contemporary Resort and Marketplace. Will we soon see the end of this little plastic figures? I guess only time will tell, but for now, I’m on the hunt for the next Vinyl to add to my collection.